Reincarnated In A Otome Game As The VILLIAN?! Chapter 3: I swear I'm straight? Chapter 4: Wait why is the straight line curving? Chapter 5: The line is bent? WHY?! Chapter 6: Oh god why am I not swinging the other way? Chapter 7: Oh my god am I gay? Chapter 8: I'm never going to admit it! Chapter 9: ...Fine! I admit it! Chapter 16: I'm out, is that a problem? Chapter 19: IT'S A HETERO TRAP! Chapter 20: I am not looking back! [EXTRA] Alex X Terrance LEMON! [EXTRA] KEN X ALEX LEMON!! 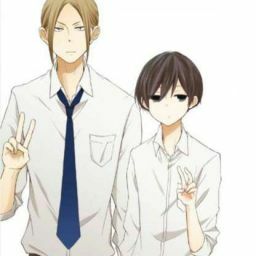 Bio: Born in a normal family with members of the family including himself his mum and dad and younger sister Emily, he&apos;s a loner and only has one friend who has his back his BFF Aoi she&apos;s a fujoshi and loves playing Otome games which explains why he knows a lot about his current situation and about everyone around him because he played the game with Aoi and listens to the crap she talks about. Bio: Treated like an outcast in his family of 5, he is the oldest child out of the 3 siblings, his family is a prestigious Duke family, his family is well known for their beauty and wealth but Alex was born out of wedlock from an affair his father had with a maid who died giving birth to Alex. Bio: Sera is the second child out of the three siblings and she&apos;s the heroine of the Otome game, was raised fairly well and loved by her family and is a bit spoilt except by her oldest brother whom she tends to forget even existed. 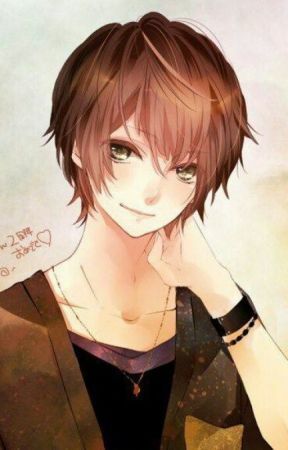 Bio: youngest of the three siblings and is twin with the heroine Sera, he&apos;s nerdy but adorable and is treated well by his parent and would from time to time go see his older brother without Sera knowing and happens to adore his brother a lot even when the rest of the family shuns him from reality. Bio: Second prince of the Royal Winter family and is raised well and loved by his family, he&apos;s a cute bubbly child who wonders about a lot of things and would often space out but he loves hanging out with the Hellsing family. Bio: Very passionate in a large Royal family of 6 children, he&apos;s the sixth prince of the Summer royal family, he&apos;s very energetic a bit blunt and dumb despite all that he&apos;s pretty sharp at noticing other people&apos;s emotions. Bio: First prince of the Autumn Royal family due to his illness he&apos;s often in bed and frail weak body, he&apos;s a cute cinnamon bun (until puberty hits) and is well-liked by everyone even by the servants and everyone around him is very overprotective of him but it&apos;s a way to show love to him but his parents are extremely strict with him and wouldn&apos;t have a lot of time with him so he&apos;s often alone.